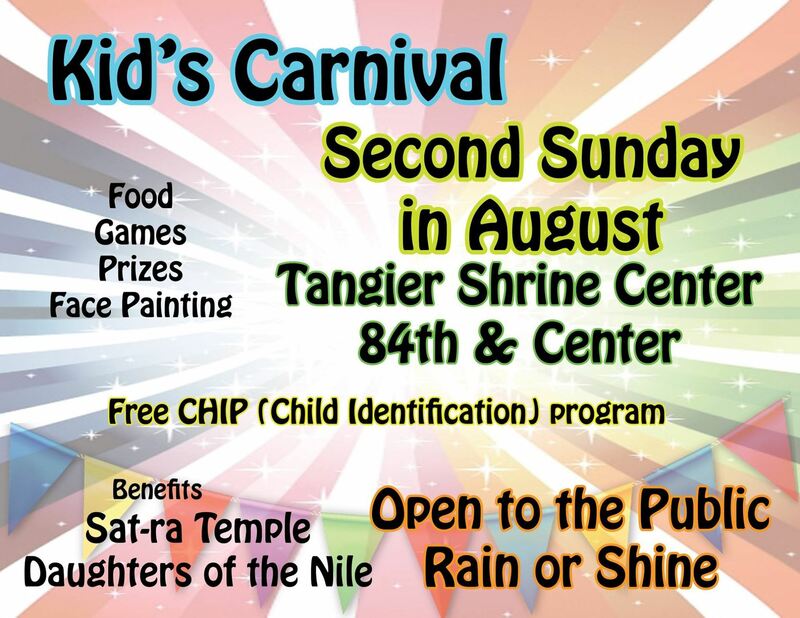 The fifth annual Kids Carnival will be held on Sunday, Aug. 12 from 1-4 p.m. at the Tangier Shrine Center, 2823 S. 84 Street. Admission is free, and free Child Identification Program (CHIP) kits will be available, while supplies last. There is also a free reptile display. Children can enjoy games, face painting, and mini train rides with the purchase of $1 game/ride tickets. Pony rides are $5 each. Ice cream, snow cones, hot dogs and chips, and drinks will be available for purchase. The event is open to the public and will be held rain or shine. The Kids Carnival is sponsored by the Daughters of the Nile Sat-ra Temple No. 59 and the Tangier Shrine. Proceeds are for the benefit of Daughters of the Nile activities. Payments are not deductible as charitable contributions.